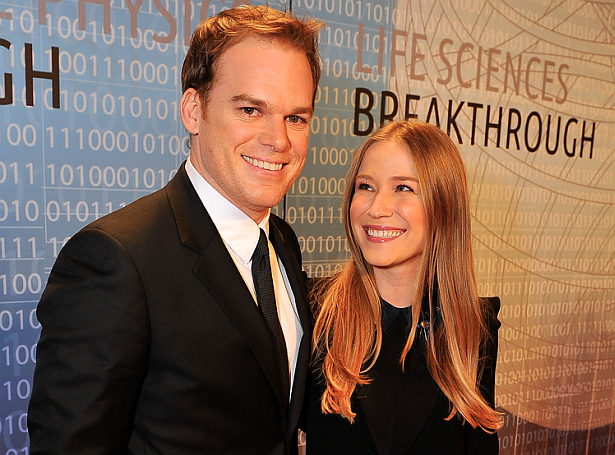 Dexter Daily: Michael C. Hall Ties the Knot With Morgan Macgregor! Michael C. Hall Ties the Knot With Morgan Macgregor! Michael C. Hall is a married man... again! Five years after his divorce with Jennifer Carpenter he ties the knot with longtime girlfriend Morgan Macgregor in a surprise New York wedding on February 29th. No other details about their surprise ceremony have been revealed. Michael and Macgregor, a Los Angeles-based book reviewer and novelist, have been together for nearly four years. This is Hall's third marriage. He was previously married to actresses Amy Spanger and his Dexter co-star Jennifer Carpenter, whom he wed in 2008 and divorced in 2011.